Since quitting my job, I've made a concerted effort to take better care of myself. I spent almost a decade overworked, running on too little sleep and not enough nutritious food for fuel. Since November, I've started working out five days a week with a personal trainer, cut out most alcohol, and changed my diet to include more fruits, vegetables, and nutritious ingredients. 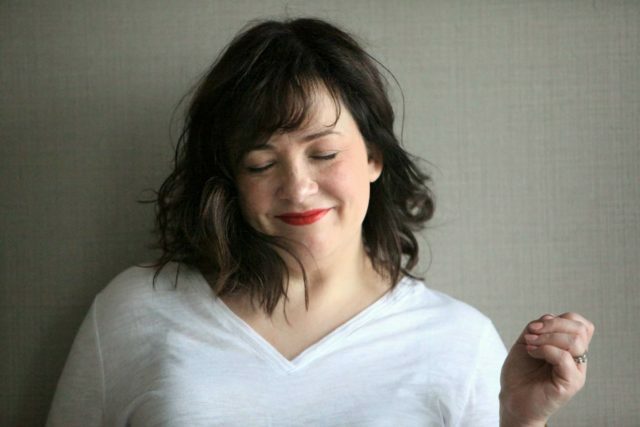 I'm also making changes to my beauty routine to make it healthier and more beneficial. 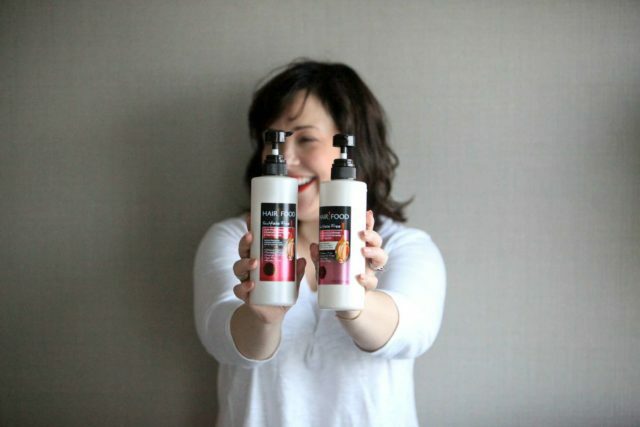 So when Hair Food reached out and asked if I'd like to try their collection of haircare products, I agreed. It makes perfect sense; healthy ingredients on the inside and healthy ingredients on the outside. 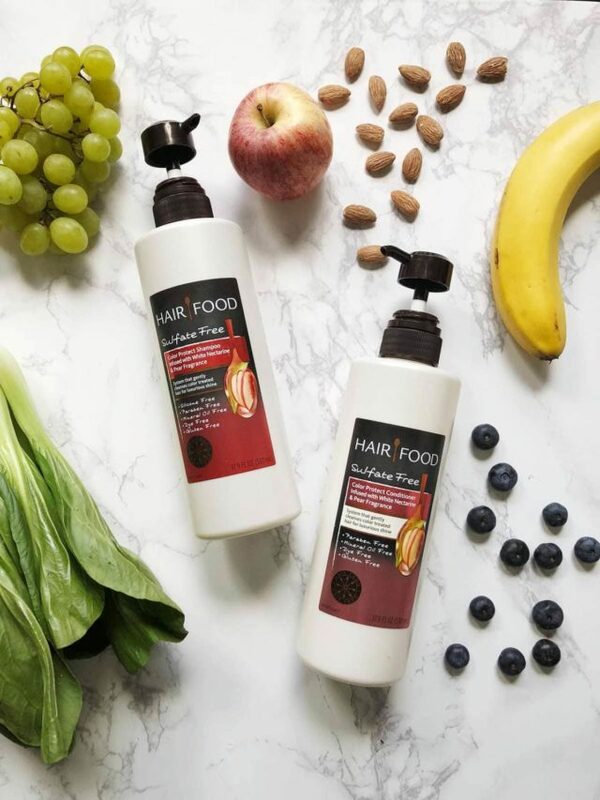 Hair Food is inspired by the nutrition found in power foods to fuel your beauty routine with expertly crafted recipes, blending naturally-inspired ingredients and fragrances to revitalize your hair. Just as you feed your body with delicious, nourishing ingredients, your hair is also hungry for real nourishment. I let Hair Food know my top priority with my hair is to maintain my color and they sent me the Hair Food Sulfate Free Color Protect collection. 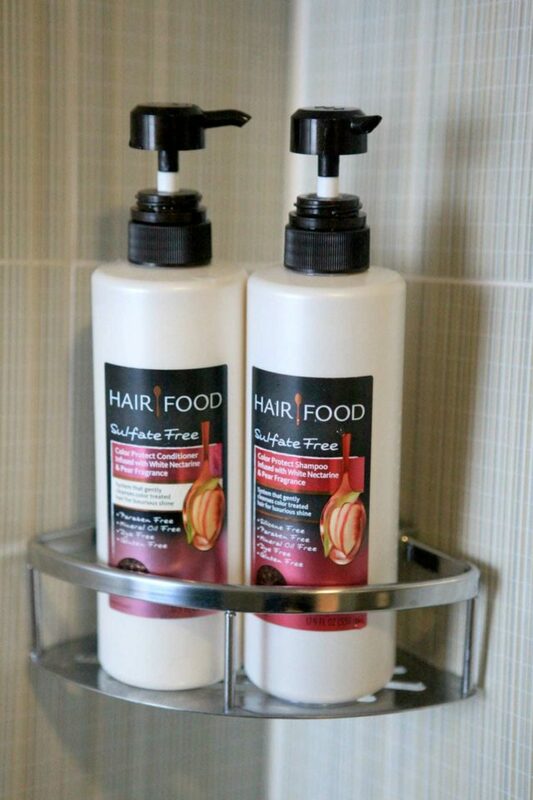 Hair Food Sulfate Free Color Protect collection is scented with white nectarine and pear. It's not too strong and smells like real fruit, not candy. The shampoo has a lightweight lather which I love; don't expect full-on suds like many shampoos. Free of sulfates, parabens, mineral oil, dyes, and gluten, Hair Food Color Protect collection cleanses without stripping, conditions without coating, leaving your hair soft and shiny. I'll admit I was a bit concerned about trying a new shampoo and conditioner. I color treat my hair, and my hair is quick to lose color if I don't use the right products. No worries with Hair Food. Even with washing my hair almost daily after the gym I still have my grays covered and my brunette locks shining and not brassy. Seriously, the only other shampoo I've found to maintain my color this long costs four times as much (and has a similar ingredient list). Color me impressed (heh, see what I did there?). I also often deal with my roots getting greasy too soon after a wash and I didn't experience that with Hair Food. I was able to go a couple days without shampooing, which is always a positive for us gals with color-treated hair (and those short on time in the morning). Usually hair does this when it's stripped from being over-cleaned; it's a testament to Hair Food's formula to keep my hair looking clean longer. 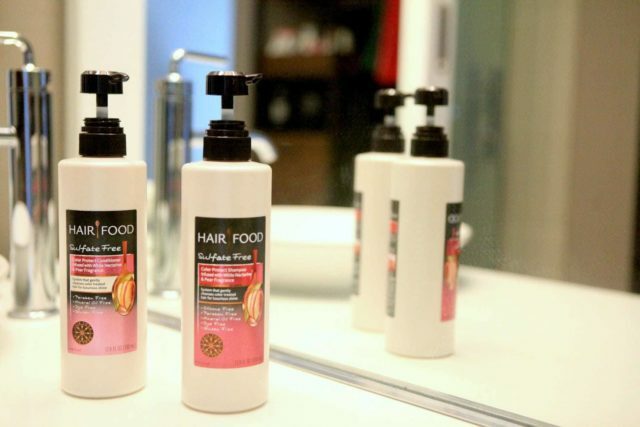 Hair Food is available at CVS and many other retailers. Thank you, Hair Food, for partnering with me, I've found a new favorite shampoo and conditioner! I’m kind of a late to comment on this post but I wanted to thank you for introducing this brand to me. I bought it (on Amazon) after reading your post last week and so far I love it. I can finally have second day hair again! I don’t always like to wash my hair everyday but the latest super expensive shampoo/conditioner I have been using that I bought at the salon was making my hair feel weighted down and it would look greasy if I went a day without washing. Can’t wait to see how well it does with the color lasting. So excited to have found this. I have been looking for a good less expensive shampoo for years. Thanks! I’ve never heard of this line, but I’m definitely curious! I’m always on the lookout for a good sulfate-free shampoo. Although I have to ask, is this a product you would see yourself repurchasing? Thanks for your help! Yes. I love the smell of my fancy expensive shampoo and conditioner but my wallet doesn’t. I see myself buying this 75% of the time and treating myself to the other shampoo 25% of the time. Thanks for the review of Hair Food shampoo and conditioner. I have color treated hair and it seems like the color fades pretty fast around my part and front. I have been researching what I can do to prevent this. These products seem like they may be a good choice. My next salon appointment is next week and I will do many of the suggestions I’ve read including this one of new products. I really want to go more than 6 weeks between colorings. Thanks for the post. Ali, I’ve never heard of this brand but am really interested in trying them. I color my hair as well and hate it when the color washes out too quickly. With that said, i have very fine hair that is incredibly straight–and if i don’t wash it daily, you can usually tell b/c it just gets straighter and really won’t do much of anything. I try to wash every other day to save my color, but sometimes, it’s just not an option. I know your hair is thicker than mine with more body. Do you feel like this shampoo would be gentle enough on hair like mine if used almost daily? I am thinking it would but just thought I’d ask. Thanks! Since working out I wash my hair daily. I do minimal shampoo, often diluting with water but I always condition and this stuff has been pretty great. I got my hair colored January 25th and it’s just starting to fade a bit and often I am seeing greys after just two weeks. That’s good to hear about the color not fading. I think I need to get some of this shampoo. I tried not washing my hair today and just washing my bangs/reapplying product at the top. It was not successful and I just feel yucky. Maybe I can go back to daily washing if I know the shampoo will not take the color away too fast. Thanks!